This Cuved bathscreen comes with a fixed panel which extends the overall length of the bathscreen. 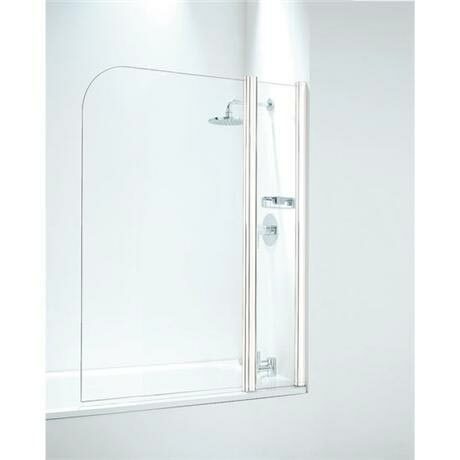 The curved screen is designed and manufactured by leading shower specialist Coram. The fixed panel features a soap corner basket in chrome for additional practical storage. The screen stretches for 1050mm providing excellent coverage and is ideal even for use with power showers.